For more than 10 years, Gertrude was in high demand as a voodoo priestess in Haiti. Feeling trapped and miserable, Gertrude found the answer to her problems—Jesus—after she joined the Child Survival Program. Whispering to her while she slept, the voodoo gods called to Gertrude. “I believed I was chosen by the voodoo spirits when I turned 23 and started practising voodooism in my twenties,” says Gertrude. She thought she was chosen. She thought she would bring healing to others. She thought she would be free. Instead, Gertrude became trapped. For many years, thousands of Haitians have put their hopes in voodoo. More than just a religion, voodoo is a worldview encompassing philosophy, medicine, justice, and religion. With the fundamental principle of everything being ‘spirit’, many Haitians—including Gertrude—believe nothing will be possible for them if they are unwilling to serve the voodoo spirits. Gertrude followed the call of the spirits and became a voodoo priestess, possessed to heal people who were under spiritual attack. 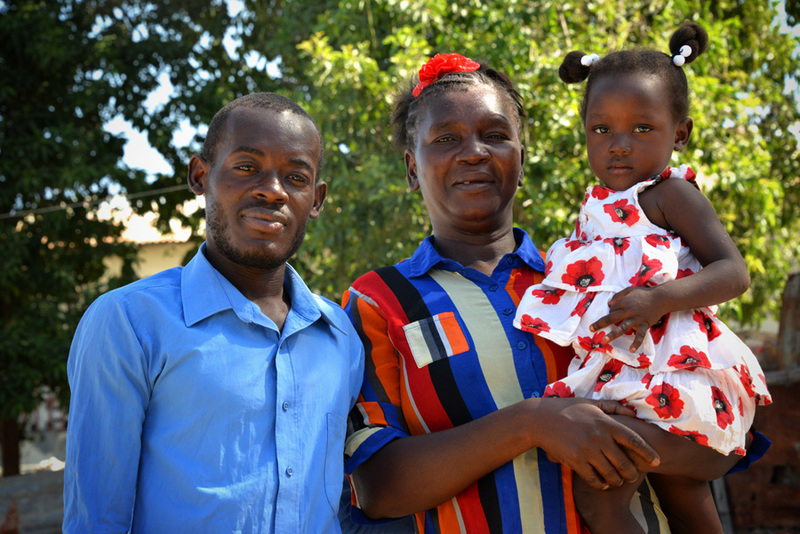 For over a decade, Gertrude was in high demand of the people in her community of Nazon. Using leaves and other ingredients under the guidance of the spirits, Gertrude provided treatment. She felt important and began to depend on the gods. But her life became miserable. Despite making money from her treatments, Gertrude was unable to repay the loan she had taken out to start her business—the spirits physically prevented her from using the money for herself. She couldn’t provide for her family. She felt trapped in mental slavery by the voodoo spirits, but how could she get rid of them? When a friend told Gertude about the local Compassion Child Survival Program, the shackles binding her began to break. 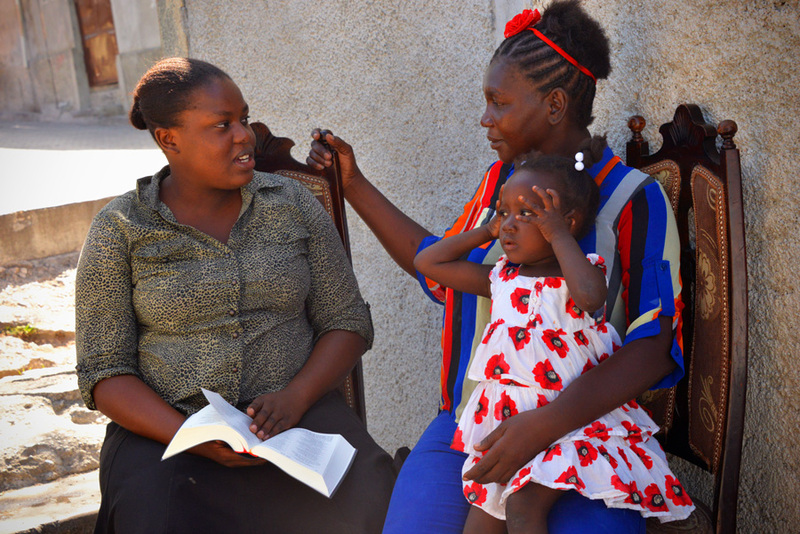 With her youngest child, daughter Junia Jutride Alexis, in tow, Gertrude began attending centre activities and for the first time heard about Jesus Christ. Learning about Jesus’ sacrifice on the cross and being taught from the Scriptures during home visits made it easy for Gertrude to decide to give her life to Jesus and receive salvation by grace. Still needing to provide for her family, Gertrude participated in a macramé class (the art of textile-making using knotting rather than weaving) and learned how to make slippers to sell. “I am so grateful for what God has done in my life. I am no longer a voodoo priestess, but a baptised church member engaged in evangelism to save others,” says Gertrude. 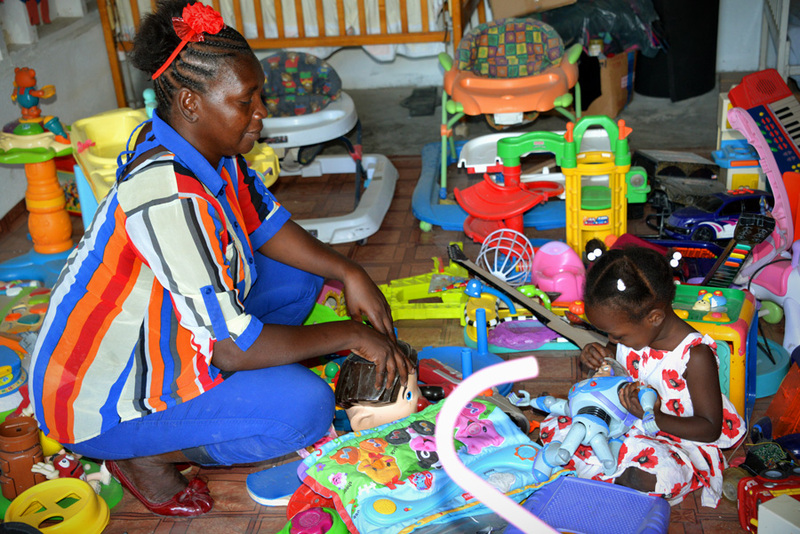 You can support women like Gertrude by giving to Mums and Babies. Who are the Trafficked Fisherboys of Lake Volta? The best stories of the month, delivered to your inbox.